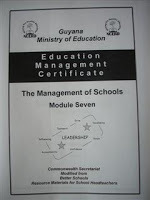 NCERDLEADERS is the online resource of the Guyana Education Management Programme. What is NCERLEADERS and the Education Management Programme? NCERDLEADERS was created as a joint project between the UK based Voluntary Service Overseas, the Commonwealth Institute and the National Centre for Education Resource Development, Ministry of Education in Georgetown Guyana. 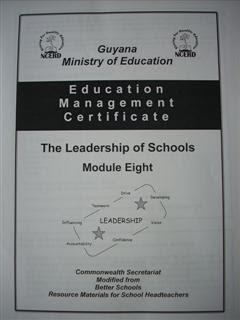 The site was developed by the VSO Education Management Specialist at NCERD and principally contains information relating to Education Management and Leadership in Guyana. It has been updated and refreshed in December 2015 with older, out of date material removed, incorporating a new look. We hope you like the improvements. The project was developed to support Educational Leaders both at the national and local level as well as Headteachers, prospective Headteachers and teachers. 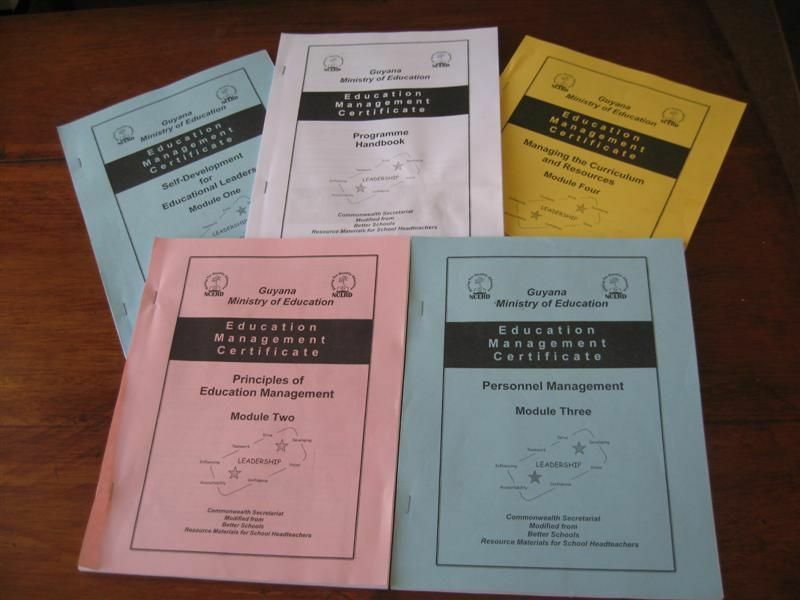 Along with this, its main function is to provide a distance learning tool for the Guyana Education Management Certificate. As you will see, all of the materials for that programme are published on this site. They can be found on the sidebar to the right. Click on the link and you will find the text only modules. 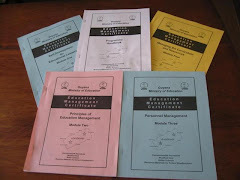 Below those, you will find a link to download the modules in PDF format. You can save them on your computer and read them when you like. Links to other interesting areas and sites can be found on the tabs above. 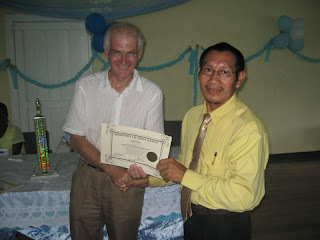 You will also find numerous links to other educational websites in Guyana and around the world. Feel free to look through them. 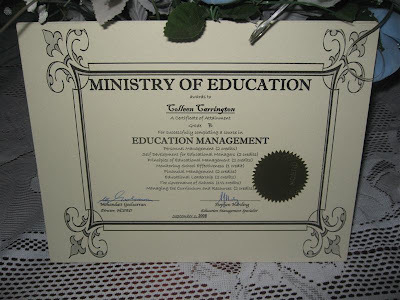 And finally, the Education Management Programme is equally valid in educational settings around the world, not just in Guyana. You can adapt the materials to suit your own needs. The resources are Free. If you feel you want to comment on anything in the site, you can do so at the end of each article or you can contact us by email. See the sidebar on the right for details. Module 7 The Management of Schools is available both in text and PDF format online from this website. Just go to the sidebar on the right to find the links to download it or read it. The purpose of this module is to enable heads to gain an understanding and insight into the nature and dimensions of school management, and thus help them work effectively with the various groups and bodies which have a part to play in the good management of each school. Let us first of all remind ourselves of the distinction between leadership, management and administration. A good head would be capable of all three and particularly his / her key role as a leader. We will deal with this in much greater detail in Module 8 “The Leadership of Schools”. In simple terms, the leader creates the vision and engages the staff to fulfil that vision. The manager creates order and structure to oversee and undertake the process and the various stages required to achieve the task. The administrator deals with the day-to-day issues that are required for the whole process to run smoothly, meet the requirements of the law and achieve the desired results. In short, what will be done, how it will be done and the doing! In this Module, we will examine the process of management. There are many people and organisations involved in the management of a school and they all have their part to play. We will not only examine the role of headteacher in this but also look at the responsibilities of other outside stakeholders such as the parents, the children, the regional departments of education, the community and the central ministry. Module 8 Leadership in Schools is available on this website in both text and PDF formats (Portable Display Format). Just go to the side bar on the right to find a link to see the module or down load it. 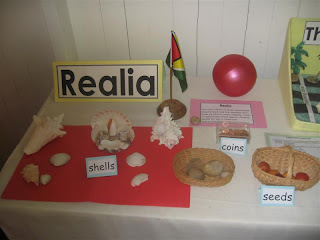 In this unit, we looked at the main reasons why we have schools in Guyana in order to focus on the role of the leader and the concept of leadership and, in particular, the type of action that is associated with a good leader. We concentrated on the differences between administration, management and leadership and concluded that, although all have their place, leadership is the most important role and is essential to the development of efficient and successful schools. We examined the characteristics of effective leaders. We looked particularly at the diverse approaches of the reactive and the proactive headteacher and concluded that it is essential for heads to be proactive in all that they do rather than simply waiting for the specific instructions of others. And finally, we brought to your attention the need for leaders to model how to follow and highlighted the main hallmarks of effective followers. Whereas in Unit One we looked at leadership in relationship to schools, in this unit we examined more closely the general skills which are required to be an effective leader and related them to your own practice in school. 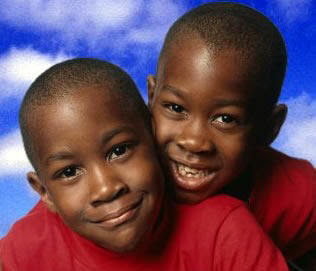 In some cases we gave you examples of what you could do in school to become accomplished in the desired skills. We added to the work of an earlier module by considering the effectiveness of a variety of styles and, at various points in the unit, asked you to start evaluating your own leadership performance. In this unit we have moved the focus to the needs of the Guyanese educational system, from the theory to its application in schools. We required you to understand the essential characteristics that Guyana wants to develop in its leaders and to put some of this into practice by analysing your own performance in these areas. We identified a number of groups, whose responsibility it is to develop the future leaders of Guyana. These range from yourself as a potential leader (or perhaps you already are one) through each of the various levels in the school though to those externally responsible for schools in the regions and the Ministry of Education. In each case we related these requirements to the imperative to create effective and successful schools. In this unit we asked you to use your imagination and consider the implications for you of a new leadership post. You were exposed to the various emotions and thoughts that you might have before taking up the post. We looked at the effects that your appointment may have on others and their reaction to you and how you might ease for them the transition from one manager to another. Our aim was to help you to feel more confident about being a middle leader, member of a senior leadership team or headteacher. We looked at some practical issues such as developing strategies for getting to know and understand your staff and how to make an impact in the first few weeks without making persons feel threatened by any changes you may wish to make. Finally we discussed the way you might use your own experience to date and that of other staff to your best advantage. Leadership training is now commonly seen as a key feature in the agenda to raise achievement in schools and to improve their effectiveness. We believe, therefore, that it cannot be left to chance or delivered in an ad hoc way. It is important that you are able to appreciate what is meant by leadership professional development and why it is essential to develop people in leadership. As a result of this, you need to understand the process of providing professional development and be able to describe the various forms that leadership professional development may take both for individuals and groups of people in order that you will be able to put them into practice. However, we are aware that such training in Guyana has its challenges especially in the light of decreasing resources and resource persons. We provided for you strategies to try to overcome this in a positive way. Each type of leader deserves a tailor-made programme to meet its needs. In this unit, we outlined for you the specific leadership training focus of each group and assisted you in evaluating those skills in order that good decisions will be made about future leaders. Finally, we all need to plan for a time when our leaders will move on to other things. Succession planning is a way of preparing for this and we linked this concept to all of the other training processes already outlined. This unit was quite different from many others in that it not only assisted you in understanding the basic competencies of a headteacher but also showed you how to evaluate those competencies in a way which would be meaningful and useful for you. If you completed the exercise, you now be in possession of a document which shows clearly your strengths and weaknesses as a leader according to the perceptions both of yourself and others who you manage or are managed by. After working through the competency evaluation of the last unit, it was essential that the information gained was used to inform further development of your leadership skills. To this end, you should now have a better understanding of the variety of methods of receiving feedback about your leadership competencies that are available to you and recognise the sources on hand for feedback about your performance. We encouraged you to create your own leadership growth plan and use examples of leadership growth plans for middle and senior leaders to improve your own one. Finally, we encouraged the use of and described a leadership portfolio which would store your background and professional information as well as successful examples of your leadership activities and your reflections on them. Having reached the end of the main modules of the Education Management Programme, this module will pull together all you have learnt to allow you to apply this knowledge and skills in a real life situation. 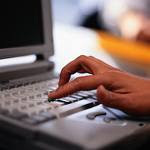 Although we have made it clear in the last eight modules that the most important aspect of a headteacher’s function is the leadership role, we cannot deny that there is also a need for a certain amount of administration to make sure that schools function smoothly and that appropriate records are kept for those who need them. 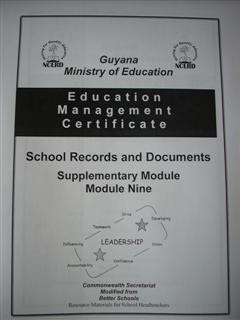 The Supplementary Module 9 based on the guidelines School Records and Documents is available online. Just go to the side bar on the right to find it. This module is a supplementary one and does not form part of the main programme. It is based on the Ministry of Education’s document “School Records and Documents” which has been updated regularly to meet current needs. 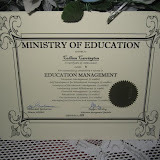 It is the Ministry’s guidelines for all administrative activity for schools in Guyana. It is an extremely comprehensive guide produced by a large number of persons who wrote it and were part of the consultation process. It gives clear instructions to headteachers on how they should operate in respect of their administrative duties. Whilst we accept that such administrative tasks are essential in keeping the wheels of the school moving smoothly, we must remember, however, that these tasks are not a means to a successful school in themselves. They assist the headteacher in keeping appropriate records to support him /her to fulfil his / her role as a leader. Alone they will not raise achievement. 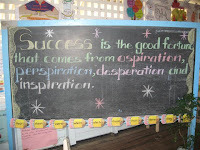 This is done by coaching, motivating and supporting school staff. School records should be completed, therefore, as far as possible outside of the school day and should not be used as an excuse to avoid working in those areas which will make a real difference to pupil achievement. The primary purpose of the guidelines is to provide information to school practitioners in an attempt to enhance their competence and confidence. When the guidelines are adhered to, the system of accountability would be greatly improved. The format of this module is different from that of the previous ones in that each unit will have a short introduction, after which you will be expected to read the appropriate sections of the guidelines. On completion of your reading, you will find a number of reflections and activities which we hope you will complete. We have provided you with a page reference from the guidelines to assist you in this process. The answers to the activities should be recorded in your portfolio in the normal way. 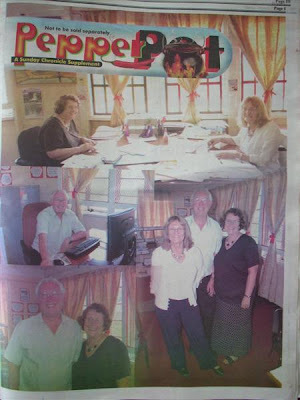 These were the words of Voluntary Service Overseas (VSO) volunteers Ms Meg Caton, Mr. Stephen Harding, and his wife Ms. Mary Harding; three individuals who, after meeting for the first time two years ago, have found fulfillment, fun and friends for life, as they served as volunteers based at the National Centre for Educational Resource Development (NCERD).The three, who supported the Education Sector here with their various talents, are bound for the United Kingdom (UK) and will be leaving next Saturday as they set off to reunite with family, and experience new things.“I am going home to two grandchildren expected over the next few weeks,” Meg Caton said, bitter-sweet emotions emanating from her words.She described her experience here as everything from exciting, rewarding and amazing to challenging and new. 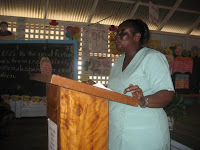 Working with Mary Harding in Curriculum Development, Meg conveyed the feeling of satisfaction that came from visiting schools all across Guyana and seeing children being happy to read. 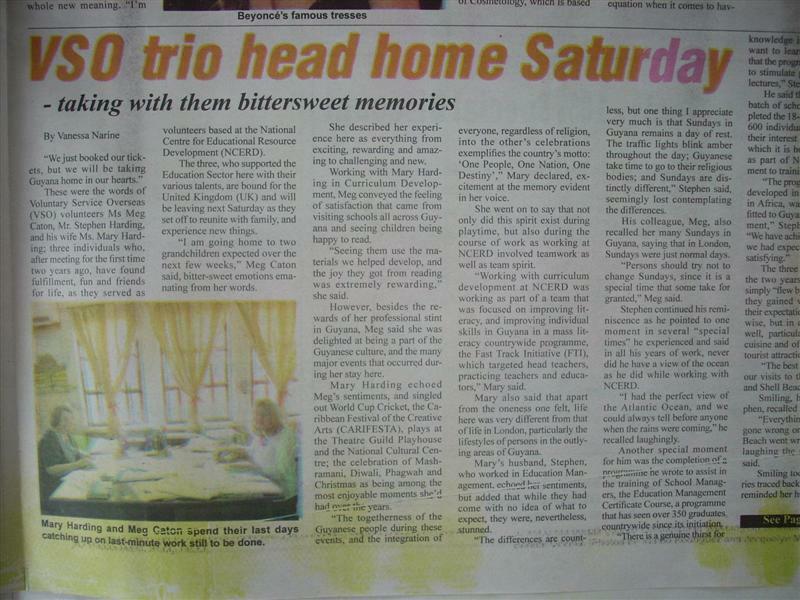 “Seeing them use the materials we helped develop, and the joy they got from reading was extremely rewarding,” she said.However, besides the rewards of her professional stint in Guyana, Meg said she was delighted at being a part of the Guyanese culture, and the many major events that occurred during her stay here.Mary Harding echoed Meg’s sentiments, and singled out World Cup Cricket, the Caribbean Festival of the Creative Arts (CARIFESTA), plays at the Theatre Guild Playhouse and the National Cultural Centre; the celebration of Mashramani, Diwali, Phagwah and Christmas as being among the most enjoyable moments she’d had over the years.“The togetherness of the Guyanese people during these events, and the integration of everyone, regardless of religion, into the other’s celebrations exemplifies the country’s motto: ‘One People, One Nation, One Destiny’,” Mary declared, excitement at the memory evident in her voice.She went on to say that not only did this spirit exist during playtime, but also during the course of work as working at NCERD involved teamwork as well as team spirit.“Working with curriculum development at NCERD was working as part of a team that was focused on improving literacy, and improving individual skills in Guyana in a mass literacy countrywide programme, the Fast Track Initiative (FTI), which targeted head teachers, practicing teachers and educators,” Mary said.Mary also said that apart from the oneness one felt, life here was very different from that of life in London, particularly the lifestyles of persons in the outlying areas of Guyana.Mary’s husband, Stephen, who worked in Education Management, echoed her sentiments, but added that while they had come with no idea of what to expect, they were, nevertheless, stunned.“The differences are countless, but one thing I appreciate very much is that Sundays in Guyana remains a day of rest. The traffic lights blink amber throughout the day; Guyanese take time to go to their religious bodies; and Sundays are distinctly different,” Stephen said, seemingly lost contemplating the differences.His colleague, Meg, also recalled her many Sundays in Guyana, saying that in London, Sundays were just normal days.“Persons should try not to change Sundays, since it is a special time that some take for granted,” Meg said.Stephen continued his reminiscence as he pointed to one moment in several “special times” he experienced and said in all his years of work, never did he have a view of the ocean as he did while working with NCERD.“I had the perfect view of the Atlantic Ocean, and we could always tell before anyone when the rains were coming,” he recalled laughingly.Another special moment for him was the completion of a programme he wrote to assist in the training of School Managers, the Education Management Certificate Course, a programme that has seen over 350 graduates countrywide since its initiation.“There is a genuine thirst for knowledge in Guyana; people want to learn, especially now that the programme has activities to stimulate persons during the lectures,” Stephen said. 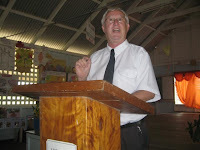 He said that since the fourth batch of school managers completed the 18-month course, over 600 individuals have expressed their interest in the programme, which it is hoped will continue as part of NCERD’s commitment to training.“The programme, which was developed in 1990 for schools in Africa, was now completely fitted to Guyana and its environment,” Stephen said proudly. “We have achieved far more than we had expected, and it is very satisfying.”The three agreed that while the two years they spent here simply “flew by,” the satisfaction they gained was well beyond their expectations, not just work-wise, but in other respects as well, particularly the Guyanese cuisine and of course Guyana’s tourist attractions. 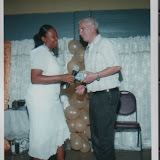 “The best trips we had were our visits to the Kaieteur Falls and Shell Beach,” Mary said.Smiling, her husband, Stephen, recalled the occasion. “Everything that could have gone wrong on the trip to Shell Beach went wrong, but we were laughing the entire time,” he said.Smiling too, Mary’s memories traced back to the trip, as she reminded her husband of the boat breaking down in the middle of nowhere but added that the experience was worth so much.“As much as we gave in our years as volunteers, we got back two-fold in so many other ways,” Meg said.So, leaving with the many experiences and fond memories gained while selflessly giving of themselves to serve other humans, in a strange land whose culture was alien to them, Meg, Mary and Stephen have exemplified the view that serving others brings its own rewards.Director of NCERD, Mr Mohandatt Goolsarran, gave the VSO volunteers another reward, in that he expressed his gratitude for their selfless support over the years.“They were very adaptable and produced quality work, while they became integrated within the system, providing professional skills and motivating teachers to strive for greater heights,” he said. 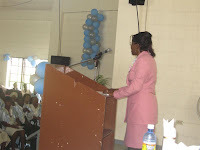 Speech given by the Education Management Specialist at the EMC Graduation in Georgetown. Permit me for a moment to talk about my philosophy. Why are we here? What is the purpose of what we are we doing? We must never forget the child who sits on the chair – sometimes we forget him / her. The children are the main reason why we do what we do. Let us look first of all at the teachers. The performance of teachers is a major factor in determining school effectiveness and learning outcomes. 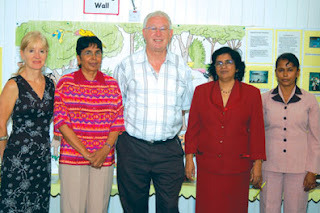 They play a pivotal role in enabling Guyana to realise its educational aspirations. If we fail in education and we fail the nation. Education is the key to success of the nation. Ladies and gentlemen, you have shown by your determination, your steadfastness, your energy and your work that you are academically deserving of a leadership role. But that is only the start of the journey. You are already in a leadership role but soon enough these eminent people around you will make room for others and you are they. I urge you not to take on the role lightly, to be aware of the vast responsibility for other people’s lives that you have and to be aware that not to carry out that responsibility to the best of you ability will have an effect on those around you and your community. You must also be aware that when you do take your duties seriously, you mould the nation’s children and thus mould the nation. · The courage to make mistakes, to allow others to make mistakes and learn from them. 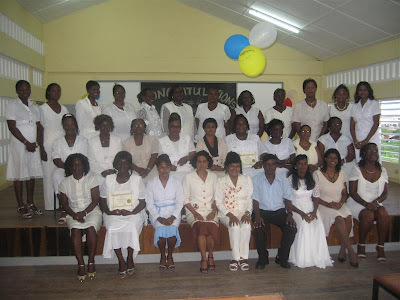 Eighteen trainees met with their families, friends, wellwishers and colleagues at the West Demerara Secondary School for the last of the graduations for the 2006 -2008 batch of Education Management Programme Trainees. 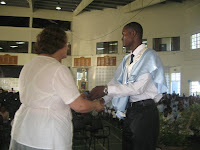 Mr Patrick John and a pupil from Malgre Tout Primary School. There were remarks made by the Regional Chairman, Ms Moses Grant (Master Trainer) and Ms Chiveon Bovell (trainee). All were presented with certificates for succeeding in the 18 month programme and the top performer - Ms Sharmilla Ramkissoon and regional runner up - Ms Chiveon Bovell were presented with trophies. NCERD offers congratulations to all of the graduates. We are pleased to report that the biggest cohort of graduates from Georgetown met in the auditorium of Queens College for their graduation of the Education Management Programme. This is the largest group in the country and they were taught by 5 Master Trainers. 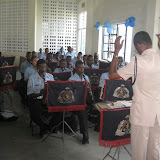 The programme started with the procession of the graduates to the march of the Guyana Police Band who later played a medley as part of the entertainment. 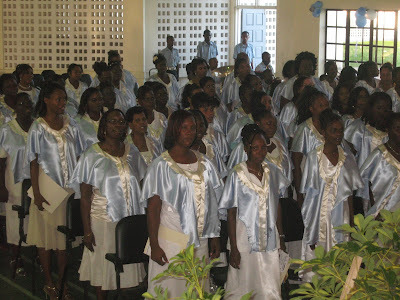 Dressed in light blue and white silk capes, the graduates entered the hall to receive their certificates and prizes for the best performers. It was a grand occasion with many well wishers, family, headteachers, teachers and officers of the Ministry of Education and the Georgetown Department of Education. The proceedings were ably led by the chairperson for the day - the Headteacher of Winfer Gardens Primary School, herself a former graduate of the Programme. Stephen Harding, the Education Management Specialist and VSO from NCERD gave the overview of the programme and the certificates were presented by his wife Mary Harding (Literary Specialist) and Andrew Kartick from NCERD. The trophies were distributed by Mr Tiwari (DCEO ADMIN of the Ministry of Education) who also gave the feature address in the place of the Minister of Education,Honourable Shaik Baksh, who was unable to attend. Trophies were awarded to the Best Graduating Students in Georgetown - Second Runner-up Shelly Anne Harris, the First Runner-up Samantha Williams and the best Graduating Student Sharon Smith. Ms Williams and Ms Smith received also the awards for the best graduating students in the whole country. Congratulations. Along with songs, a dance and an excellent motivating poem from a student of North Ruimveldt Multilateral School, it was a memorable occasion. 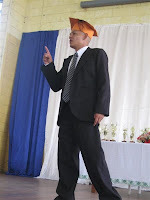 If you wish to see all of the photographs from the graduation, please click on the picture below. If you have a slow connection, remember to give them time to load. You can make the pictures bigger by clicking on the picture below. The graduates of the Education Management Programme in Region 7 met in the Resource Centre to receive their certificates and prizes. The Chairperson, Ms Carolina Joseph, Headteacher of a local nursery school ably led the proceedings and, with humour, introduced the two Master Trainers Ms Cecelia Joseph-English and Ms Deborah Gomes and the main speaker Mr Stephen Harding, Education Management Specialist and VSO from NCERD. 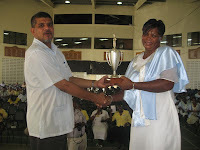 Mr Andrew Kartick from NCERD gave an overview of the Programme and the certificates and trophies were distributed by Mr Derek Lovell (Region 7 VSO) and his wife Mrs Trudy Lovell (VSO Region 7). 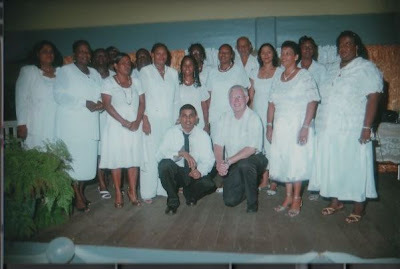 There were cultural items from Beach View Nursery and Bartica Secondary School. 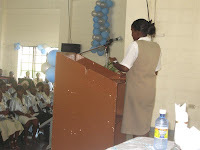 Ms Magnel David, the top performer in the Region, gave the Valedictorian Speech. 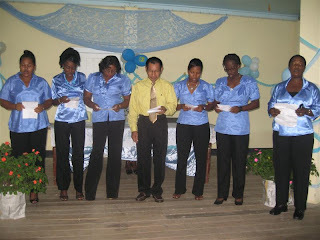 No 29 Primary School in Region 5 was decked out to receive 42 new graduates of the Education Management Programme. The graduates had spent 18 months studying on the programme run by the Ministry of Education NCERD. It caters for serving and aspiring Headteachers. The invited guests, family and friends and colleague Headteachers listened to the development of the Programme in the Region since it started 6 years ago. The number of graduates has almost doubled with each of the three cohorts and 97 have already applied for the next group to start later this month. One speaker quoted the longest serving master trainer Ms Ethlyn Kendall as saying some time ago that she wanted Education Management to become an "infectious disease" in the region. It certainly appears that way. Addresses were made by the chairperson for the day, a former graduate of the programme, who ably led the proceedings, the Regional Chairman, the Regional Executive Officer and the REDO for Region 5. The presence of such eminent persons clearly indicates the importance placed on excellent leadership in the Region's schools. Mr Stephen Harding, Education Management Specialist and VSO responsible for the training of the programme, gave the feature address. 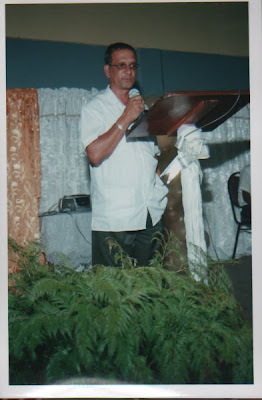 He noted that the graduates were now academically prepared for a senior leadership role in a Guyanese school but that would only be the start of the journey. They need to show by their determination, practice and efforts to be worthy of the role. 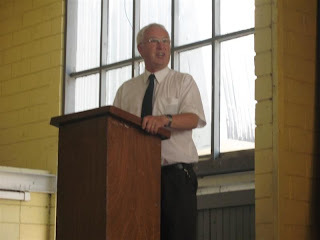 He placed great emphasis on earning respect rather than just expecting respect because they were in a leadership role. 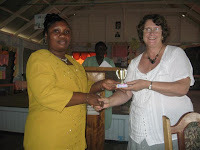 Mrs Mary Harding, Literacy Specialist and VSO along with the Regional Executive Officer distributed the certificates and the trophies for the best performers. Mr Andrew Kartick from NCERD led the "Charge" with two poems which highlighted the importance of the child as an individual. Region 5 is now ready for the next round of the programme. 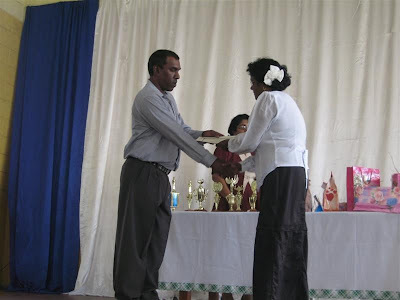 Its master trainers are Mr Dyiaram Samaroo, Mr Harold Lewis, Ms Ethlyn Kendall and Ms Monica Fraser-Carmichael who, as Headteacher, allowed her school to be used for the Graduation. Congratulations to the new Educational leaders of Region 5! 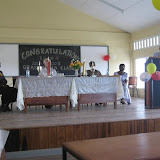 Diamond Secondary School was the host for the Graduates of the Education Management Certificate Programme in Region 4 in their graduation exercise on Monday 6th October 2008. Along with the 55 graduates who completed the course were two teachers from Region 8 who chose to receive their certificates and awards in town rather than in Paramakatoi. Mr Udho, Master Trainer and former Education Officer led the procedings, introducing the chairperson who was a former graduate of the Programme. The guest speaker was the Education Management Specialist from NCERD, Mr Stephen Harding. He was introduced by Nichola Matthews, a Master Trainer, Headteacher and former graduate, who in a previous year had been the top of her class. Ms Cheryl Cyrus gave the Vote of Thanks after the graduands received their certificates and the highest performers were given trophies. The Education Management Programme is going from strength to strength in Region Two. This was the region which piloted the programme in 2000 and is about to start with its fifth cohort of trainees. It was also the first region to hold its graduation which coincided with Education Month. The Graduation, which was held at Anna Regina Multilateral School was introduced by the Chairperson Ms Yvonne Castello, who is also one of the Master Trainers on the course whose group of trainees come from the Pomeroon River. 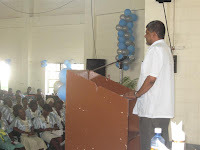 An overview of the Programme was given by Mr Maydha Persaud who is another Master Trainer and Commissioner of the Teaching Service Commission as well as retired Headteacher. 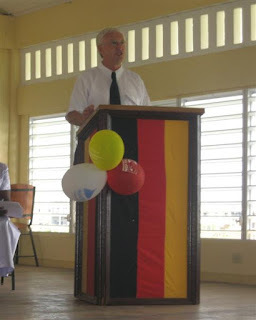 The Education Management Specialist from NCERD , who is a VSO from England, gave the Feature Address and urged the graduates to remain steadfast in displaying their leadership skills so as to lead schools successfully through the first half of the 20th Century. All of the three groups of graduates, which numbered 42 in all, offered a cultural piece to the audience of well wishers, regional officials, Headteachers, teachers, family and friends. Certificates were distributed and prizes were given to the best performers. 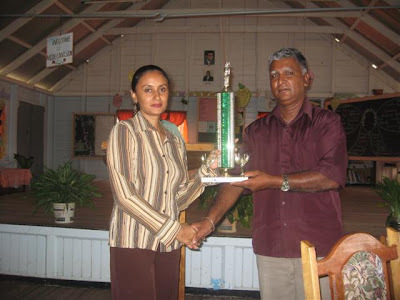 The top scoring graduate, Laljeet Ruplall offered the Vote of Thanks and the Charge was given by the country's top performing graduate in 2006, Sandra Narine. The Graduation was attended by, amongst others, the Region's Head of the Education Department, Mr Bardewan Ghir Rambarran, the Regional Executive Officer, Mr Sunil Singh and the Vice Chairman of Region Two, Mr Vishnu Samaroo. Group 3 Representative performs a poem about "Motivation". Other groups offered a poem and a song and a sketch on "Leadership Styles". 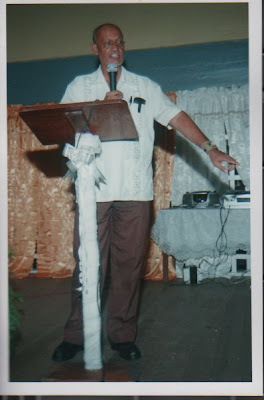 Not enough people know that nestled in the back of the National Centre for Educational Resource Development in Kingston, Georgetown was a nursery school teacher's paradise. We were so impressed with what we saw that we could not resist paying a visit and sharing what we discovered with everyone. The resource area had been developed by Mrs Florence Sukhdeo, National Curriculum and Materials Advisor who worked for BEAMS. 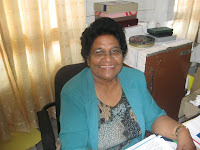 Mrs Sukhdeo had a wealth of experience as a teacher, teacher trainer, university lecturer and advisor. 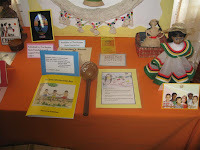 The room was full of resources which were within the capabilities of any teacher to make and which, she was proud to say, she had either made herself or had commissioned from one of her many students all over the world that she had taught over her impressive years of service. 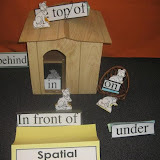 "I make and display the resources so that when a teacher sees them, she will immediately know what they are for and be able to make them herself." But, they were not classic home made resources that look home made. They were produced from all kinds of materials that were readily available in teachers' homes and which were often thrown away. 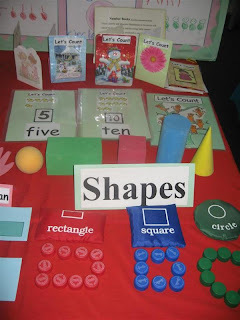 With an emphasis on colour, shape, size and potential for the teaching of spatial awareness, Mrs Sukhdeo selected her odds and ends and turned them into practical learning resources which would serve well in the classroom for many generations of children. 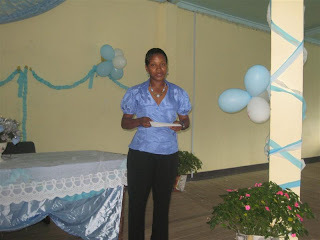 One of her successes were the big books she produced which highlighted cultural practices in Guyana whilst at the same time teaching children the basics of reading. Some of these were printed by Guyana Book Foundation with support from two Canadian based organisations CODE and CIDA as well as others from the BEAMS Programme (Basic Education Access and Management Support). She had an eye for detail and was keen that teachers would replicate what they saw in their own classrooms. We wanted to show her talents to a greater audience through http://www.ncerdleaders.com/. Mrs Sukhdeo was passionate about nursery children and was keen to ensure that all had a standard of education equal to the best. She didn't want to see nursery classrooms cluttered with display and resources just to decorate the room but felt that they should be true learning aids appropriate to the age, development and maturity of the children. Displays needed to be changed regularly and link with what is being taught at a particular time. 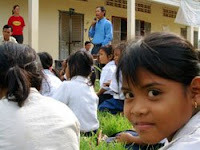 Children then graduate to primary school where they are "infants" in Grades One and Two. Of course, all of the materials displayed, suitably adapted, are appropriate also for the older age range. A positive and rich learning environment is essential at all levels from nursery to secondary. A science classroom in a secondary school needs to look like science is fun and enjoyable just as much as a primary classroom needs to motivate the children teaching them that learning is not only fun but a critical life skill. Mrs Sukhdeo, who sadly has passed away now, we applaud you for your tenacity and your ability to share your wealth of experience, passing on your valuable knowledge to a new generation of teachers. 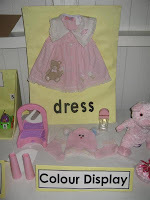 You can view all of the resources in Mrs Sukhdeo's room by clicking on the picture below. When you have the pictures in front of you, you can make them larger by using the slide bar at the top. Mrs Sukhdeo had it all!" “To plan and implement all in-service teacher education programmes, in order to improve the quality of education at all levels in the system so that education may serve as an effective instrument of social and economic development”. This is the foundation on which the seven units of the National Centre for Educational Resource Development (NCERD), have banded together to form a highly professional, accountable, modern and democratic education service. Established in 1986, to coordinate the functions of its units, NCERD has been able to touch all areas of the education sector, from curriculum and assessments to provision of resources and textbooks, some of which are developed by NCERD. * School Libraries Division, also headed by Rajwantie Permaul. * Administrative Unit, headed by Lucille Griffith. The units undertake tasks that are imperative to the realisation of NCERD’s key responsibilities, which have significant impact on the Education sector, according to the institution’s director, Mohandatt Goolsarran. * Printing, collating, storing and packaging papers for exhibition. For the achievement of these responsibilities, each unit operates under a specific mission statement that complements NCERD’s general objectives. Functioning in different areas, the work of NCERD parallels those of the Ministry of Education’s Strategic Plan 2003-2007, the director stated. NCERD’s literacy and numeracy projects hope to target 14,700 individuals. The initiative, started in May, extends throughout the 10 Administrative Regions of Guyana and purposes to help the participants raise their literacy level. Currently, regional coordinators, in association with 200 plus educators, out of a targeted 300, engage students, adults and interested persons in afternoon sessions five days a week, during an approximate seven-hour study schedule. 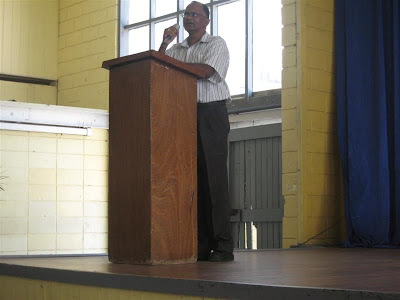 This effort by NCERD is only one of the programmes that are currently running which assist in educating Guyanese people for the development of the individual and, by extension, the country as a whole. In addition to the programmes established to educate, there are several others that aim at training or improving the human resource of the Education sector. These comprise certificate courses and non-graduate courses in a number of fields, such as Education Management, Mathematics, English, Biology, Chemistry and Physics for Secondary Schools, and Basic Information Technology, said the director. “Without NCERD there is no Ministry of Education,” Mohandatt Goolsarran posited. He added that because of NCERD’s current role, it has been mandated by the Ministry of Education to widen its scope of activities. A recent addition to NCERD’s list of brilliant minds is Jane Quinn, formerly of the British Broadcasting Corporation (BBC). Quinn stated that her sights are set on developing multimedia skills so as to facilitate the use of multimedia in the classrooms across Guyana. Quinn also added that she hopes to have an online infrastructure established, which would assist in making additional content available to many schools in need, on as many platforms as needed. With more human-based and innovative technological resources, NCERD is expected to continue along the constructive path it has embarked upon to maintain the positive impact that the institution has had on the Education sector. There are all sorts of things that motivate adults. They range from good salaries to favourable working conditions and promotion prospects to job satisfaction. But we all know that some of these are not easily provided. However, one of the biggest motivators is reward for a "job well done". It doesn't have to be a major ceremony in front of all one's colleagues but simply a word in a teacher's ear about something that they have done well, showing that you recognise it and appreciate him / her for doing it. Some schools have been successful in rewarding teachers in a more formal way. For example, in one school, there are competitions for "Teacher of the Month", "Best Classroom" and even "Most improved punctuality and attendance" In this school, teachers strive to achieve those rewards which are presented each month in front of their colleagues. Another school presents them (not the attendance and punctuality ones) in assembly in front of the whole school and this also helps to motivate the children. It doesn't have to cost money either. Just a simple certificate or even a letter will suffice showing how you feel about the work the member of staff is doing. These are easily made on a word processor if you have access to one. Think how you feel when somebody tells you that you have done well. Why not try it and let us know how you got on by making a comment from below? It works even more so with children. But, stickers are expensive and not readily available in Guyana. So why not make some of your own? True, you will need access to a printer and a photocopier but it's worth the effort even if you are in an internet cafe reading this. It will only cost a few dollars and can be used again and again. Children will work hard for a small reward and especially something they can stick in their books and show their parents. So, we're going to give you a headstart. We've prepared a few simple ones for you to download. They use Microsoft Word so they can be changed or edited as you wish. They are there for ideas. Also the children can colour them in to make them attractive. Another idea is to have small posters with wording such as "Star of the Week", "Best Attender", "Best Punctuality" These are placed on the classroom wall and each week the name of a child is stuck onto it temporarily and replaced the next week. You can also do it as inter-class and whole school competitions. 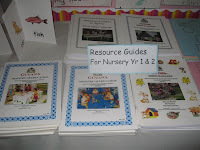 So, why not use your imagination and create some of the resources for yourself to motivate your children. Here are some examples of what you might make. If you find it was a successful strategy, just let us know by completing the comments below. You will find details of the programme, advice and all of the materials. Just take your time to look around the site! You can click on the link for each module and get the PDF Version with pictures. NCERDLEADERS is becoming increasingly popular around the world and not just in Guyana. The content can apply to most education systems wherever you are. Why not comment if you find this site useful? The NCERDLEADERS website is in the form of a BLOG - that is the main articles are on the left hand side and other details and links are in the sidebar on the right. The articles are organised by the date they are posted. Each of the years and months has a number next to them. That is the number of posts for that month. Click on the month to see the posts. Just scroll down this sidebar to find all of this content. Why not click on some of the tabs below the title at the top to take you to other useful sites and interesting pages in this site? It's important to remember that everything you do or "do not do" has a direct effect on the education of the children. Let them build on your good example. VSO brings people together to fight poverty.